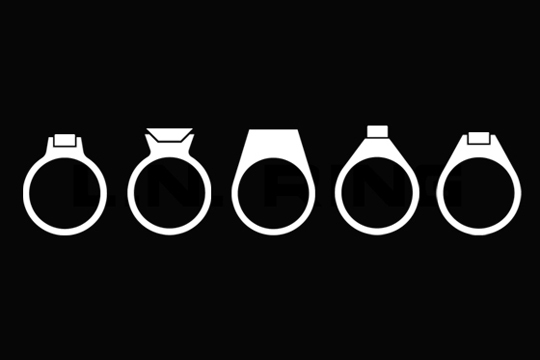 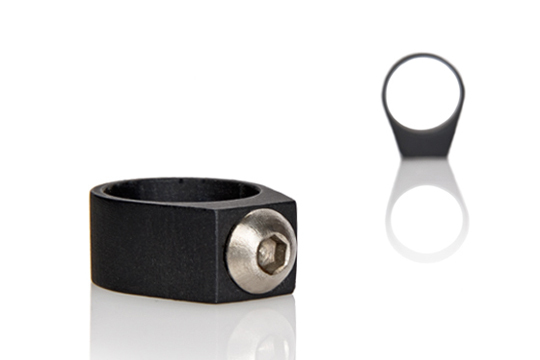 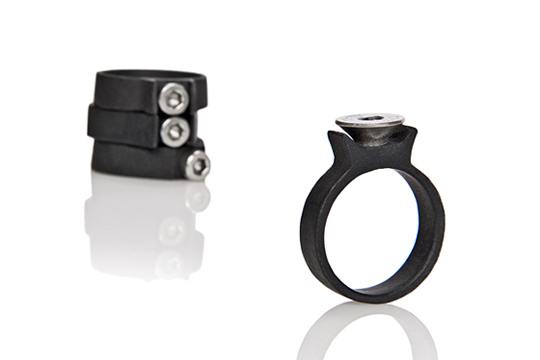 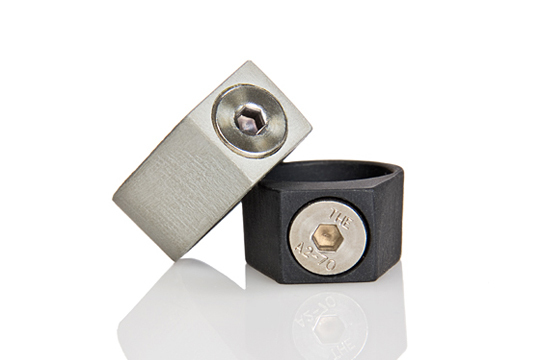 An industrialised approach was taken while designing these rings, both aesthetically and technically. 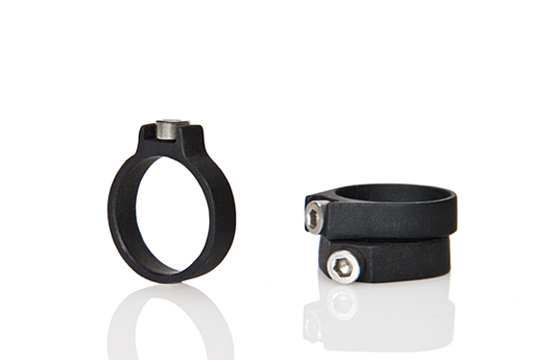 The rings are cut out of an aluminium plate (can be extruded in large quantities) and then anodised. 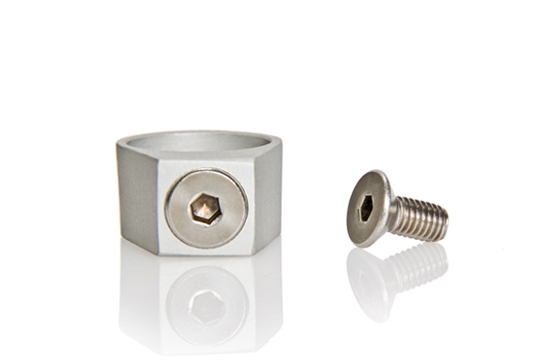 A stainless steel Allen screw is then placed instead of a gem.